Well its about dang on time that this happened, it was definitely overdue! 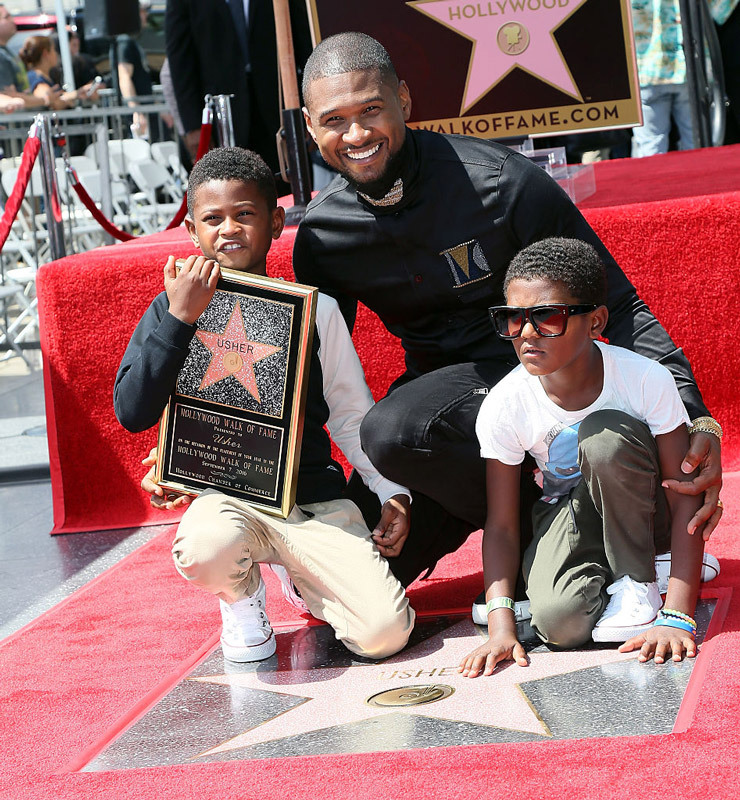 Usher received his star on the Hollywood Walk of Fame and he brought out the whole family out to celebrate with him. Congrats are definitely in order for the R&B crooner! Usher had everybody there to support this moment from his children to some of his industry buddies. 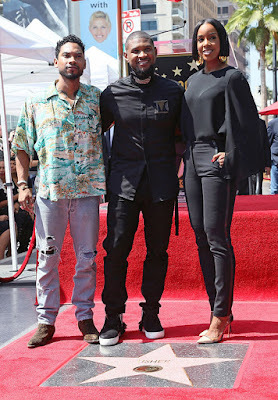 Kelly Rowland was on hand to support, along with Miguel, Will.I.Am, Stevie Wonder, and others. Usher brought along his wife Grace and her children, making a great blended family pic. During Raymond's speech, he spoke about his loved ones and their support saying, "I don't just celebrate this moment by myself, I celebrate it with those people who invested in me, those people who loved me in my hard times. " He also talked about never giving up, staying persistent, consistent and making connections. "I'm here because I haven't given up and I have even more to tell", he said. Usher went on to say "It's not just what you do while you're here. It's the evidence of what you've done and what you leave on the walls, on the grounds, and on the hearts of the all the people who are passionately connected to what you put out into the world". Many of his celebrity friends reached out via social media to give their congrats as well. I'm sure there will be much celebrating going on considering that he has an album and movie coming out as well. Once again, we want to share a huge congrats to Ush!